Let’s back up. I went into Discount Liquor and asked the rep if he could recommend four bottles of beer for me. 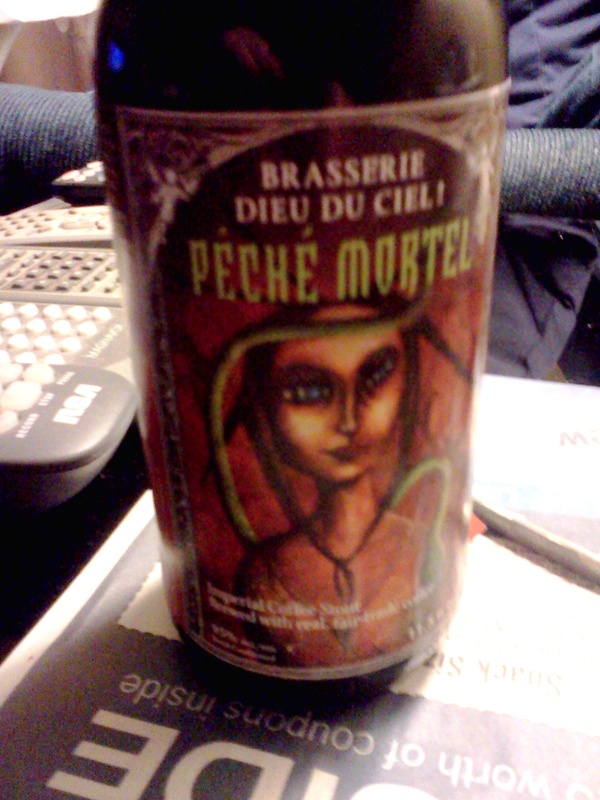 He pointed me toward four beers by Brasserie Dieu du Ciel! (Sky God Brewery!) that were rated at 98 or higher at ratebeer.com. This was the one I grabbed to have with supper tonight (bacon cheddar burger). The name (Death Peach) seems to have nothing to do with the actual beverage since there’s no peach flavor I can detect. It’s an “Imperial Coffee Stout” according to the label. It also says 9.5% ABV. It pours black from the bottle, building a respectable mixed-foam dark tan head that dissipates slowly, leaving lots of nice lacing. The aroma is of patent malt, aromatic hops, and a hint of premium dark roast coffee. The fore-taste is of robust, bitter patent malts. The mid-taste is of sweet malts and rounded hop bitterness with the warm, inviting, robust aroma of coffee. The rear taste is of nice, floral hops and roasted malt bitterness with a hint of toasted sesame seeds toward the end. The aftertaste is of the best French Roast coffee ever mixed with pleasant patent malt bitterness. Overall, the best coffee stout, hands down! Perfect for someone who loves dark-roast coffees. I think this is my new favorite beer since it’s essentially my favorite coffee (strong, dark roast) in my favorite beer (Imperial Stout). 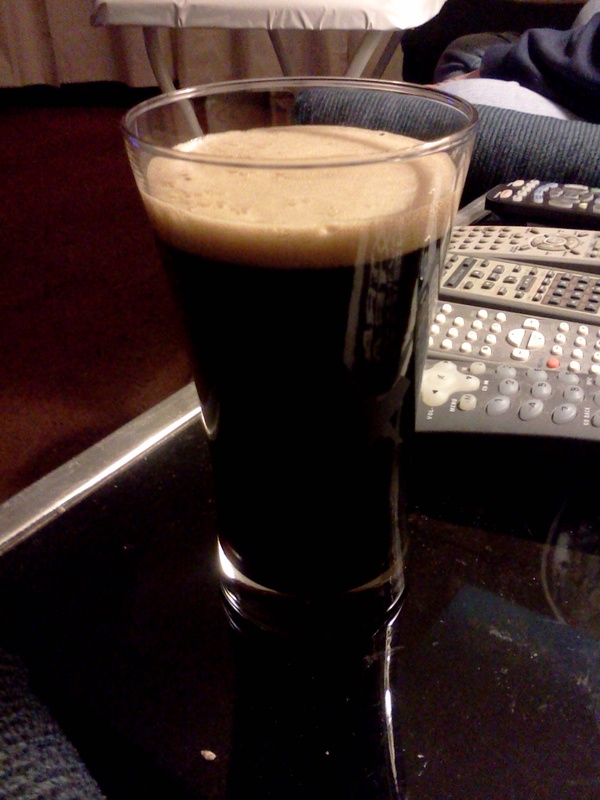 This entry was posted on February 21, 2012, 6:20 PM and is filed under Alcohol, Coffee, Food. You can follow any responses to this entry through RSS 2.0. You can leave a response, or trackback from your own site.